How Frequent Should My Child Brush - Adelberg Montalvan Pediatric Dental PC & Orthodontics too! Kids loves to watch their parents and copy what they do. If you make it look fun, they will think it’s fun. Considering you are monitoring and assisting with this process, make sure to get the back teeth and gums to ensure healthy growth. Try a song to ease the process and bring the fun! This is when kids want to start doing everything on their own. Try recommending a timer or a way for him/her to monitor their teeth brushing alone. Fun, colorful electric toothbrushes are also available! By now, your child should have a pretty solid routine down. If you notice dental problems, come in for an evaluation. We can help with new techniques to reach difficult places, help bad breath, and check for cavities. 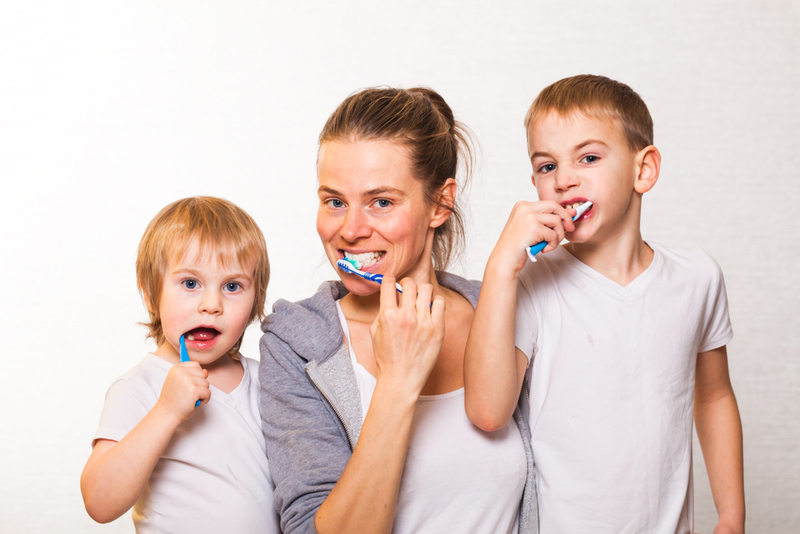 For more information on brushing teeth, contact us!